If you’re struggling with addition and subtraction, a honeybee might be able to help you out. In a study conducted by RMIT University in Australia, published in Science, researchers taught bees to associate certain colors with the concepts of addition and subtraction. 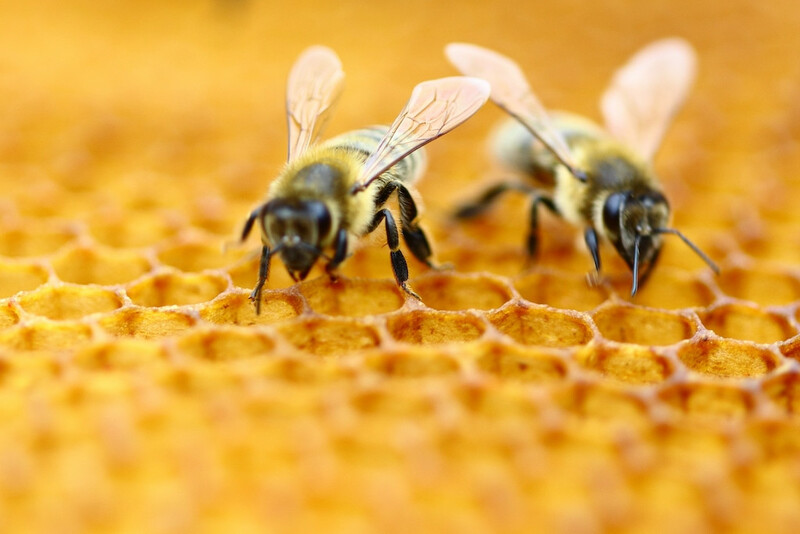 Previous study results have already placed honeybees in an elite category of animals, with their ability to comprehend the mathematical concept of zero. Humans, dolphins, primates and some birds, known to be capable of the feat, are among the elite group. According to Newsweek, the study created an experiment in which 14 bees were encouraged to fly into a Y-shaped maze where one route provided a reward of sugar at the end, while the other contained only a bitter tasting quinine solution. Once the bees knew they could find food inside the maze, they returned repeatedly. To determine whether the honeybees were capable of math, visual stimuli were placed at the maze’s entrance. There were between one and five shapes, which were either yellow, to represent subtraction, or blue, to represent addition. After the bees saw the sample stimulus, they entered a ‘decision chamber,’ where they were given a choice of two possible routes. Two more visual stimuli were placed at each of the entrances, and the bees had to select the "correct" answer to be led to the food. “If the elements were blue, the bees would need to choose the stimulus option in the decision chamber which was one element greater than the sample; however, if the elements were yellow, the bees would need to choose the stimulus which contained one less element than the sample number,” the study’s authors wrote. “The color of the elements, and thus the arithmetic problem to be solved, was randomly assigned per bee for each trial,” in order to ensure that the bees weren’t drawn to one side of the maze. Over the course of 100 trials, the honeybees learned that blue meant +1 and yellow meant -1. They chose the correct option in the decision chamber 60 to 75 percent of the time, which led to the conclusion that more animals might be capable of basic math. Scientists have long debated whether animals can learn complex mathematical skills, and a distinction is often made between species that can identify quantities. Bees are the latest to join the brainy animal club, as previous research has shown that vervet monkeys, chimpanzees, orangutans, rhesus monkeys, African grey parrots, pigeons and spiders too, can understand mathematical operations. Researchers say that their findings could have implications for the development of artificial intelligence.